Does HTC have an Ace up its sleeve? 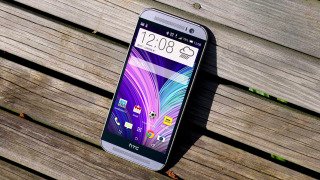 The HTC One M8 Ace is one of the more intriguing handsets that HTC is thought to be working on. Essentially the idea seems to be to deliver HTC One M8 level specs at a much lower price tag and it could be here as soon as the June 3. That date comes from sources for Taiwanese site ePrice and given that HTC has recently started teasing the handset it could be accurate, as it seems likely that the phone would launch soon. Elsewhere we've also caught a glimpse of the device, alongside some rumoured specs. Both come from Chinese site ifanr.com, which claims it will have a 2.5GHz Snapdragon 801 processor and a 5-inch 1080p screen, which would put it roughly in line with the HTC One M8. Although we'd anticipate that the if the Ace makes it to the UK, US or Australia then that 2.5GHz processor might be swapped out for a 2.3GHz one, to match the version of the One M8 that made it to those territories. The camera could be in for a change though, as ePrice reckons the One M8 Ace will get a 13 megapixel camera, just like the HTC One Mini 2, rather than the 4 Ultrapixel camera of the M8. It will apparently be available in a range of colours and be substantially cheaper than the One M8. That's been achieved by swapping out the aluminium shell for a plastic one, as you can see in the picture. HTC Might be working on a One M8 Prime too.